What are the other tutu styles? Romantic style tutus have a longer skirt, typically calf length and these are used in ballets such as Giselle. The Bell tutu does not have a hoop and is more relaxed. The Balanchine is named after the famous choreographer George Balanchine – he didn't like the large pancake style tutu so had tutus made with a much shorter skirt, also called the Powderpuff tutu. Do I need a fitting? 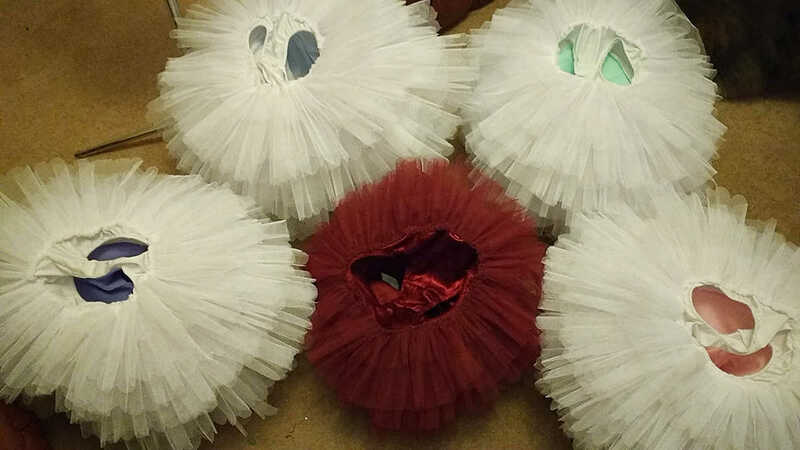 The structured tutus require 3 fittings, lycra tutus can have 1 fitting or can be made via mail order. How do I book a consultation and how long will it last? Contact me to book and you can either come to my sewing cabin or we can talk about your requirements over email or via skype. Consultations are normally around an hour. This does fluctuate – so contact me for lead times. Can you make Boys Ballet Tunics? Yes I can – there are some photos of my previous work on the costume page. How do I store my tutu? While tutu bags are perfect for transporting your tutu they are not breathable so it is important that you dry your tutu out after your performance. I would suggest you do not store your tutu in these bags – store them wrapped in a cotton duvet and keep them flat, especially if they are hooped. On top of the wardrobe is perfect. Can you alter my tutu? Yes I do, there is something wonderful about bringing an old tutu back to life!